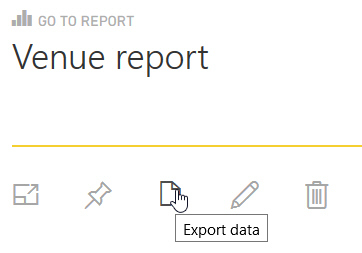 This is one of the questions we get asked most frequently on our Power BI Desktop course. What data can people see when you publish a report? For this report ... ... I've applied this filter. Security is (to say the least) important. Although this blog gives guidelines, you should carefully and separately check your report security works as you want it to. 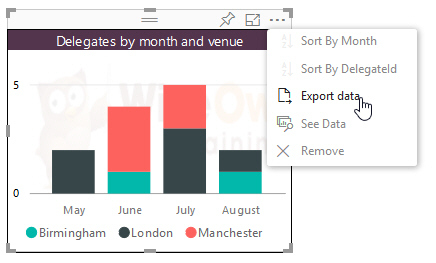 In Power BI Desktop you can drill down to see the data or records for a visualisation. 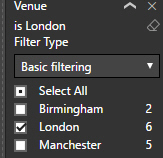 However, you can only see the data meeting the current filter set. 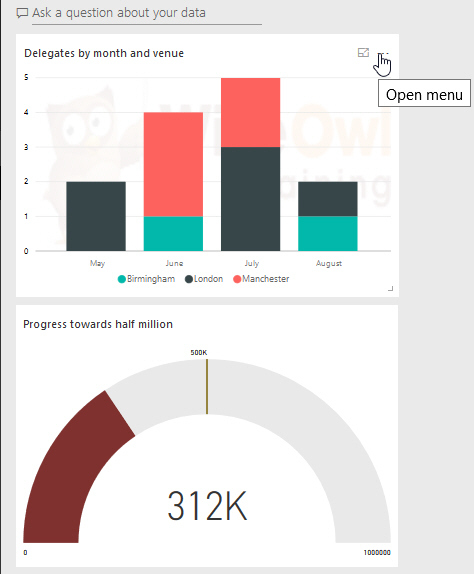 You can export data from a published visualisation. 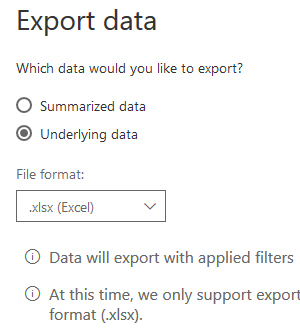 You can export the data for our chart to an Excel workbook. So if you publish a visualisation, you're also publishing access to the underlying data. You can also open a dashboard's menu to do the same thing, using the option shown above. If you choose this option, you get a CSV file of the data shown in the dashboard. A CSV file giving the data shown in the dashboard. This doesn't claim to be an exhaustive study, but it seems that when you share reports or dashboards, you have to accept that people can see the underlying data.